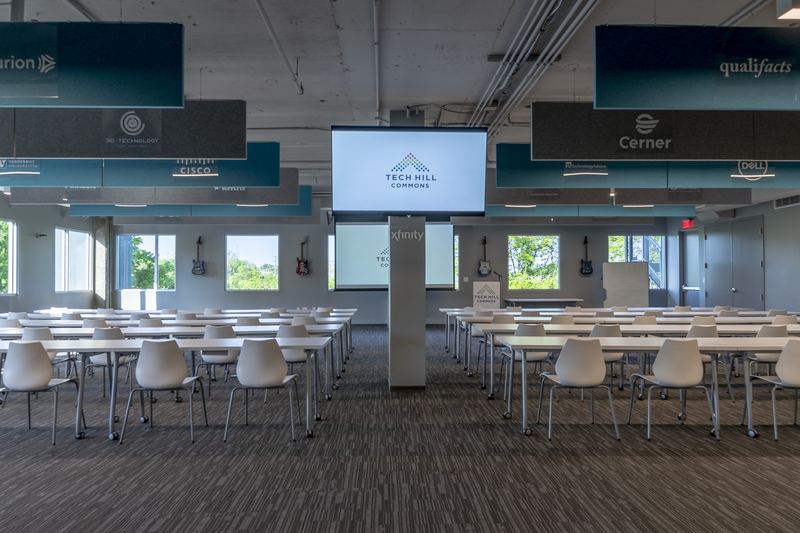 Whether you’re looking to challenge your team in an offsite retreat, teleconference with a client, develop the next generation of tech leaders, formulate your company’s next industry revolutionizing strategy, or launch your new innovation in the Cyber Range Event Center, our Tech Hill Commons spaces are available to exceed your organization’s needs. We invite you to take advantage of our state-of-the-art facility the next time you are looking for an offsite location for team building, video conferencing, training sessions or special events. For more information, contact us at TechHillCommons@TechnologyCouncil.com. NTC is proud to have partnered with Comcast to design Tech Hill Commons to foster innovation, promote business, and develop students and tech professionals in Nashville. And that means gigabit speeds! Comcast provides a dedicated multi-gigabit broadband connection to the facility that will support high speed data, advanced telephone and expansive video services. Comcast is also a co-investor in the project, becoming the NTC’s first ever Vision Partner. The NTC is thankful to have the support of its members who have invested in the space. If you or your organization would like to show your support for Tech Hill Commons, please contact Lauren Henslee.